Medical research can’t be done in the dark. But should taxpayers be covering the light bills at university labs across the country? The Trump administration’s answer is no. The president has proposed a massive $7 billion budget cut for the National Institutes of Health over the next 18 months. And Secretary of Health and Human Services Tom Price said this week that he may find those savings in the “indirect expenses” that NIH funds, which includes everything from buying lab equipment to paying the electric bills for thousands of academic research labs from Harvard to Ohio State to Stanford. Such pronouncements are sending ripples of alarm through universities, which last year received $16.9 billion in federal funding for research — and another $6.4 billion to cover their overhead costs. STAT talked to more than a dozen university administrators and researchers across the nation. Some said they could, perhaps, find common ground with Trump in his quest to cut regulations; less red tape for federally funded labs, they said, would mean lower costs — and smaller overhead bills. 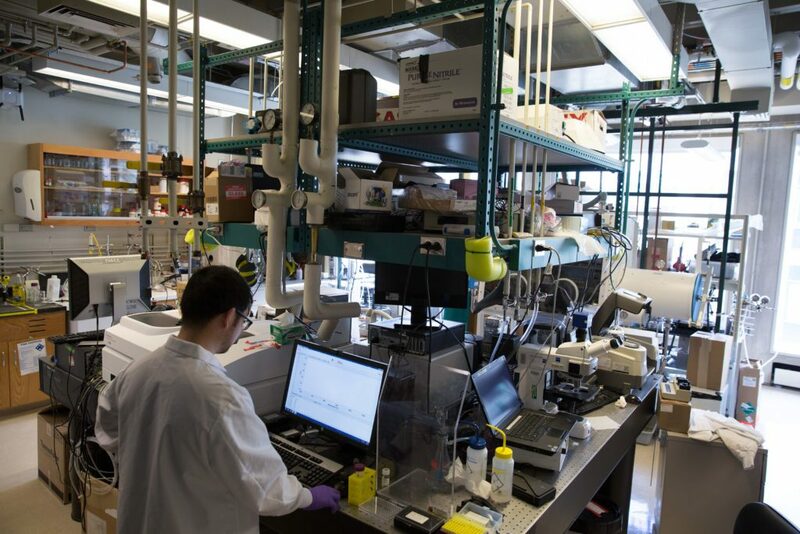 But nearly all expressed alarm at the thought of losing taxpayer support for “indirect costs” that they consider vital to their biomedical research — costs like keeping freezers running and labs heated. “Unless you’re studying butterflies, you can’t conduct biomedical research in the middle of a field,” said Dr. Pamela Davis, dean of Case Western Reserve School of Medicine. MIT President L. Rafael Reif was alarmed enough to write all employees this week to warn of potential cuts to “an arcane aspect of government funding that could have large budget implications for MIT.” He pointed out that 66 percent of MIT’s total research dollars come from federal funding — and said if the president’s budget blueprint were enacted, the university would lose a vast bulk of that money. But critics suggest the universities could do without such lavish reimbursements. They point out that foundations and philanthropists don’t pay nearly as much for overhead when they fund academic research. The Gates Foundation, for instance, caps its reimbursement for indirect costs at 10 percent. Yet researchers still apply for those grants. What’s more, many universities have huge endowments; Harvard’s is valued at more than $35 billion. Given that wealth, critics say, it makes little sense for taxpayers to foot the bill for lab utilities. 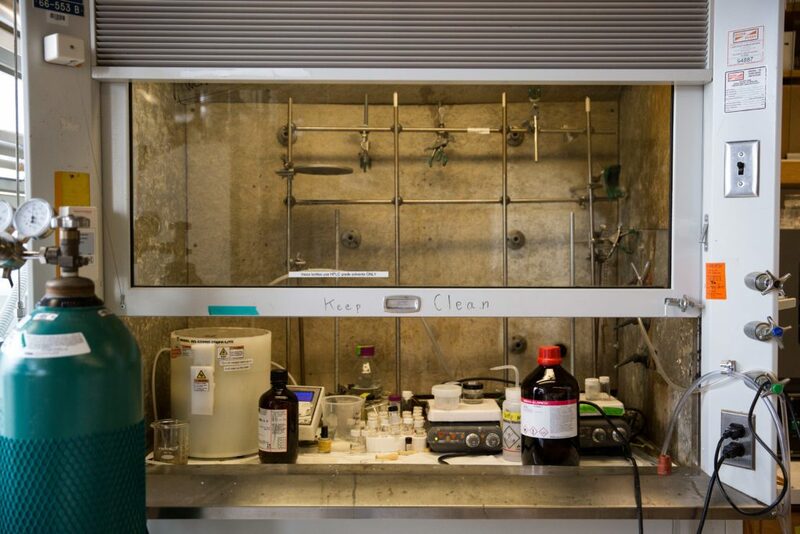 Funding for overhead costs at labs has been a source of controversy — and, on some campuses, resentment — for years. Since each university has unique costs — property values, for instance, vary by location and equipment needs depend on the type of research being conducted — each gets a different rate of reimbursement. And these rates can vary substantially. 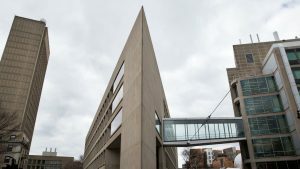 A Nature investigation in 2014 found that universities negotiated reimbursement rates in the range of 20 percent of the total grant amount on the low end and and 85 percent on the high end. Most rates fell between 50 and 60 percent. Those deals, however, aren’t set in stone: Nature found that while the average negotiated rate was worth 53 percent of each grant application, the average payout was just 34 percent. That’s because the NIH caps some grants and expenditures. The top-earning school in fiscal 2013 was Johns Hopkins University, which negotiated a 62 percent reimbursement rate and brought in nearly $160 million in reimbursement for overhead. On the low end of the scale: Morehead State University in Kentucky, with a 24 percent reimbursement rate and less than $115,000 in indirect cost reimbursements. Even so, administrators say the NIH funding never covers the full amount they spend on their research labs. “MIT loses money on every research grant we get, even with full overhead,” said Maria Zuber, vice president of research at MIT. Colleges fight ferociously to keep their NIH reimbursements. They make a powerful lobby: Because the grant money is distributed to campuses across the country, members of Congress from every state get an earful every time they even contemplate cuts. The Trump administration, of course, isn’t the first to call indirect costs into question. Four years ago, the Obama administration floated legislation to try to standardized the rate of indirect costs. Lobbyists for major universities, like Harvard and MIT, shot that proposal down, the Boston Globe reported. These rates also came under heavy scrutiny by Congress in the 1990s, after auditors learned that many universities seemed to have a very generous definition of overhead costs. Stanford, for its part, had used reimbursements from the NIH to buy decorations and help pay for a university yacht. The NIH tightened its rules and such incidents are far less common today. Still, Columbia University was fined $10 million by the federal government last year for over-billing NIH for psychiatric and neurological research that was actually conducted off-site, largely in government-owned offices. Despite the occasional scandal, universities argue that reimbursements are crucial to helping them pay for basic research — particularly as NIH funding has been flat for a decade. “People think these are bonus dollars or fees to universities, which they are not,” said Marcia Smith, associate vice chancellor for research at University of California, Los Angeles. The money also helps support medical research that wouldn’t likely interest pharmaceutical companies — at least, not in the early going, said John Zurawski, an intellectual property lawyer with Newark-based firm McCarter & English. If substantial cuts to indirect funding do indeed come to pass, universities will have to scramble to find these dollars elsewhere. They can’t count on making up that money by drawing it from the hospitals often affiliated with medical schools: Many have been fractured by the ongoing mergers and acquisitions in the hospital industry, said Dr. Ross McKinney, chief scientific officer of the Association of American Medical Colleges. Tuition is already sky-high, particularly for medical students — so universities are reluctant to charge more. State funding continues to decrease for public universities. And philanthropy and foundation support is erratic and often narrowly targeted at specific diseases. It could become a survival of the richest: Schools with big endowments and rich alumni will likely find a way to carry on — but lesser-known institutions in more rural areas would feel the cuts keenly. All would have to find a way to make up the funding by taking from other areas in their budgets. For all their angst about the potential cuts, universities may well be able to find common ground with the Trump administration on a related issue: cutting regulation. Particularly after the Stanford scandal in the 1990s, regulatory requirements imposed on academicians have continually increased — while the reimbursement structure has stayed fairly static. Conflict of interest disclosures, in particular, are time-consuming. Chase Spurlock, an immunology researcher at Vanderbilt University and CEO of a molecular diagnostics startup, said he believes Trump does want to keep funding biomedical research and sees the proposals for drastic budget cuts as a sort of opening gambit — “a preamble to a much larger discussion” on how to distribute NIH funds most efficiently. His company, IQuity, has received NIH grants that cap indirect costs at 40 percent — and his experience in the startup realm convinced him that academia, too, could operate more efficiently. 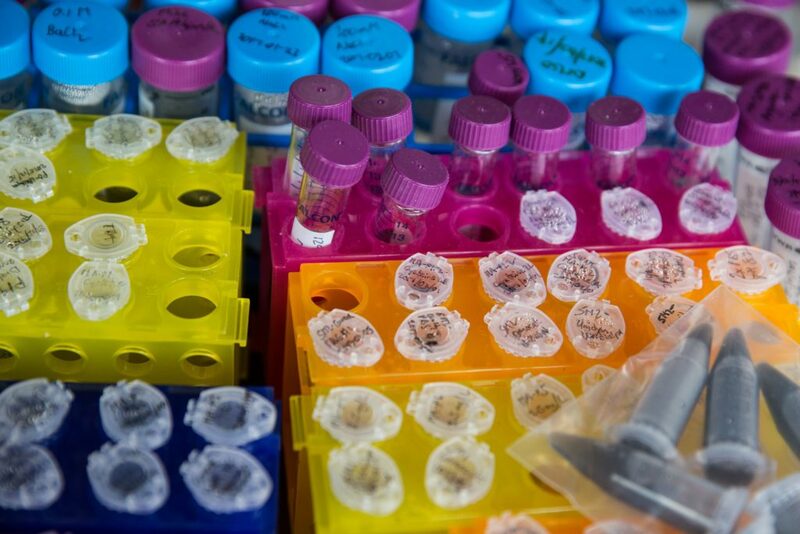 “Given that we’ve seen the waxing and waning of NIH dollars over the past several years, it’s up to all of us to help control the costs,” Spurlock said. Vedder offers a similar proposal: cap reimbursements for indirect costs at 25 or 30 percent of the grant amount, and offer that as a flat rate to all universities across the country. He also suggests that the NIH start evaluating research not only on its scientific merit, but also on its potential cost, “and downgrade proposals that have high research overhead requests,” he said. University administrators say they’re willing to listen. But they’re worried that nuance will be lost in the zeal to root out waste and slash budgets. This article is reproduced with permission from STAT. It was first published on March 31, 2017. Find the original story here.